Rough but very navigable. Thanks for the full picture. Nice post, SilverBob. Beautiful photos. I can hardly stand to sit here and look at them. Makes we want to jump up and start packing! Isn't that what we are really promoting here? 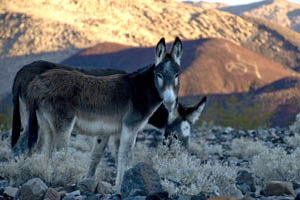 Saline Valley is one of the singular great spots in the world. But, please, know what you are doing out there. Oh man I want to go back and finish it. There are more messed up spots then I was guessing. I'm not surprised you just drove straight through the rough stuff in the last wash out. I just might have to do it for the PV.com FH. Thanks for the report Bob. Congrats on the eventful anniversary, all the best to you and Michelle. See you down the trail. South Pass is effed up! Thank you for the pics and report. Michelle and I left the Springs at 09:30 Sunday morning. I spoke to Lizard Lee and Ranger Dave Brenner briefly in the morning about my plan to go out the South. Brenner says he ain't going that way until it's been plowed. Lee said, "Good Luck". Undeterred, we set out in high spirits, after all, it was out 17th wedding anniversary. Nothing could go wrong. 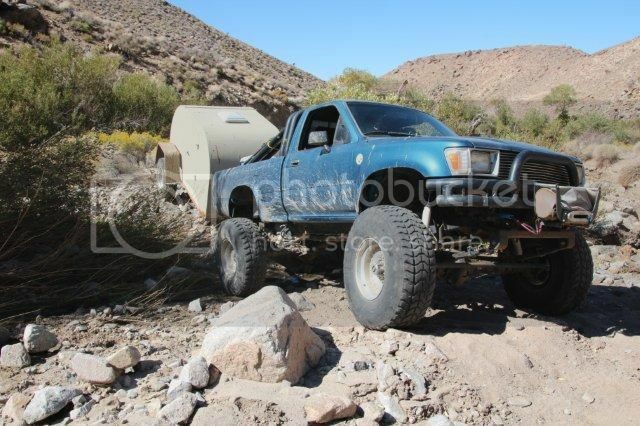 Disclaimer: My vehicle is a very well-built rock crawling rig. It rides on 37" tall military tires. 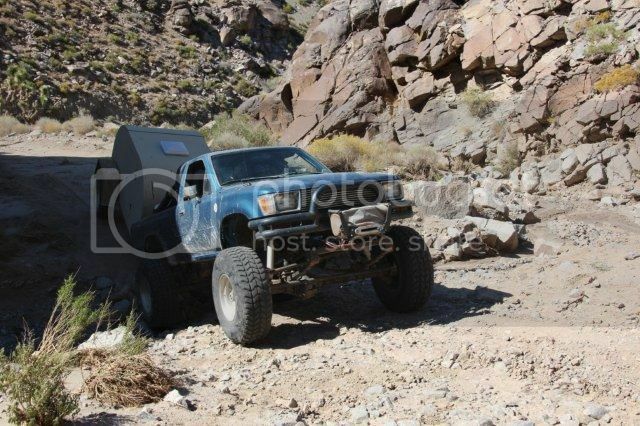 It's equipped with lockers in both axles, extra low gearing, a winch and has a substantial lift. 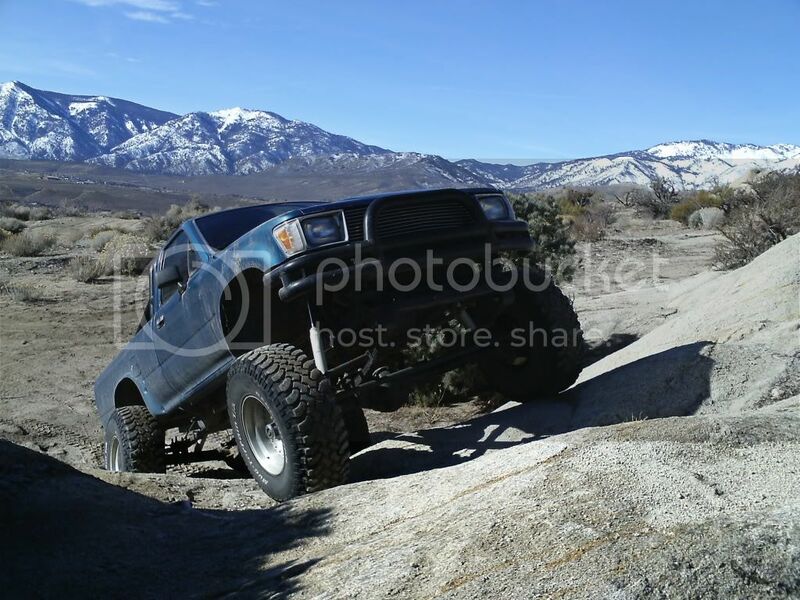 I do this kind of trail 2 or 3 times a month around my area here in northern Nevada. If your rig is not similarly equipped, or if you lack this kind of experience, don't try this trip alone! I can't emphasize this enough. The road from the Bat Rock intersection to Raven Springs Ranch was not bad at all. 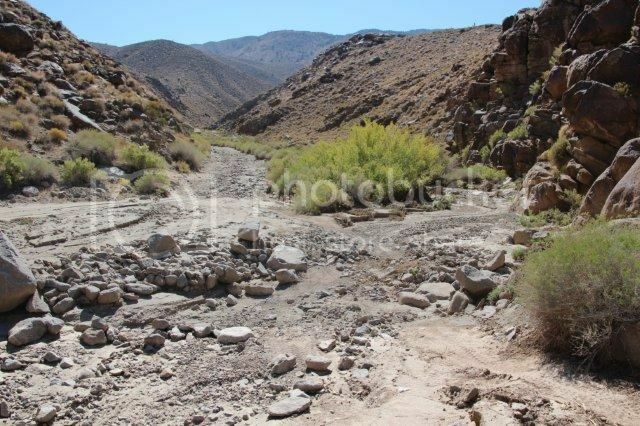 There was some mud where the stream was still running across the road south of MacElvoy Canyon, but not enough to worry about. The first real road damage showed up just where the road made the bend at Raven Springs. This washout is clearly marked with road cones to let you know it's coming. Beyond that, the road was pretty rough, but passable. 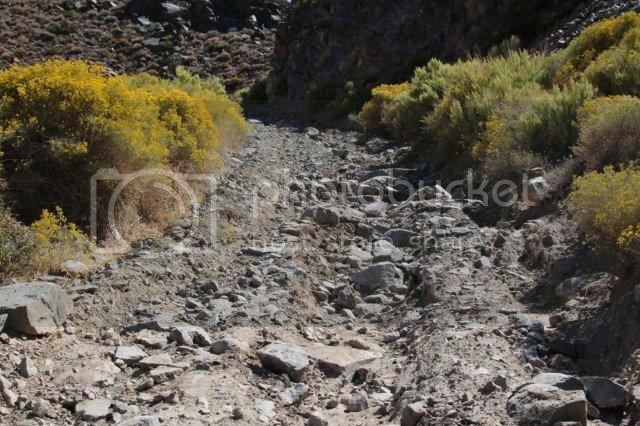 The road around the lakebed is still pretty rough until you get to the old salt tram. Beyond that,the flat section is just like I remember it: Miles of washboard, right up until you get to the washboard section. After that, it's just washboard up to where the alluval fan starts. Climbing the fan is uneventful, just like it's always been. The next interesting spot comes at 24.9 miles from the Bat Rock Road. It's right at the entrance to Grapevine Canyon. 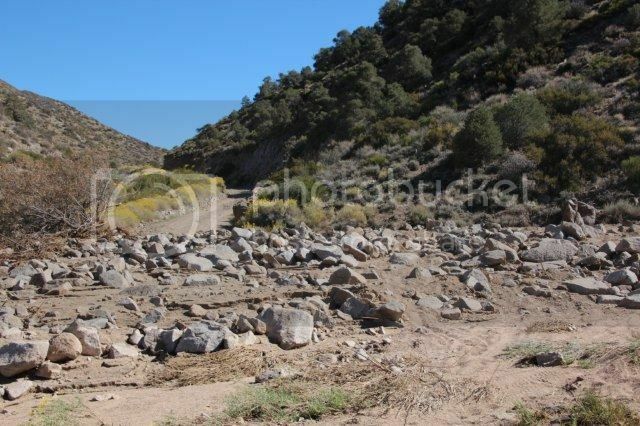 You can see that there's been a lot of water coming down that canyon. You can see that there were already tire tracks through the rough section. We found this to be the case all the way up the pass. It's obvious that someone has been through here, but not posting on this forum. 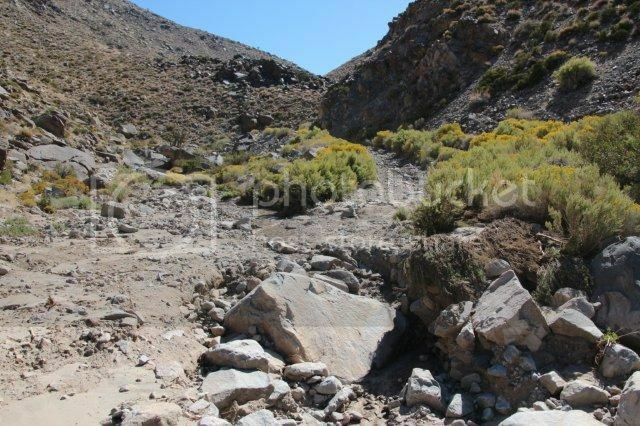 The next mile offered lots of rocks and debris as the road followed the wash. 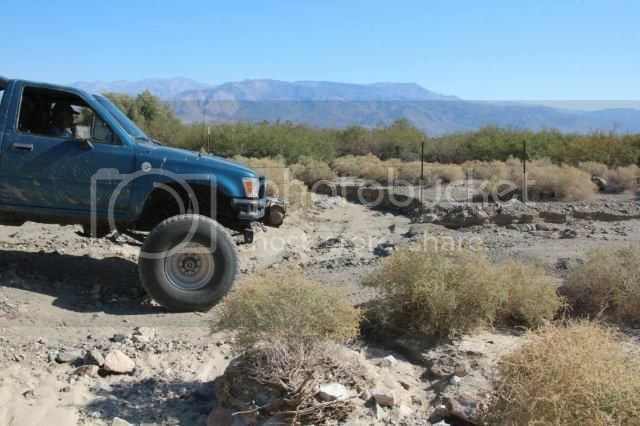 There were a few more crossings of the wash to negotiate, but nothing too tough. 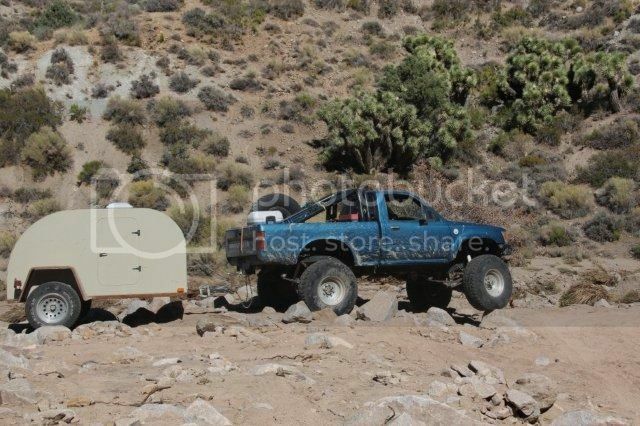 I still haven't needed 4WD so far, even pulling the trailer. Finally we came to this spot. 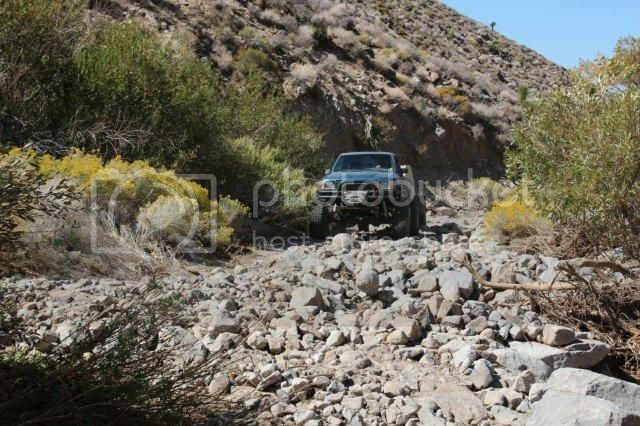 OK, I finally engaged 4WD for this section. It's hard to tell from the picture, but this is a fairly steep climb. 4-LO made short work of this section, but it was fun! We found one more sharp drop-off into the wash. Luckily, somebody had added a lot of fill rock or this could have been hard on the trailer! This was at mile 25.1 from the Bat Rock Road. At mile 28.0 we come to the rock slide that James showed in his video. 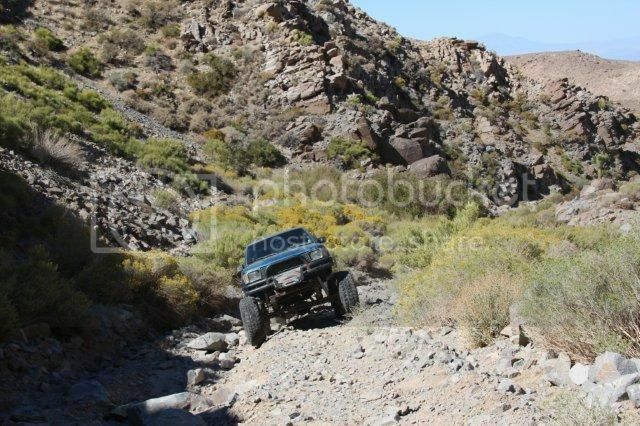 Just because I knew we were almost to the top, I didn't feel like maneuvering around all the rocks, so I just drove over them. That was the last rough section. 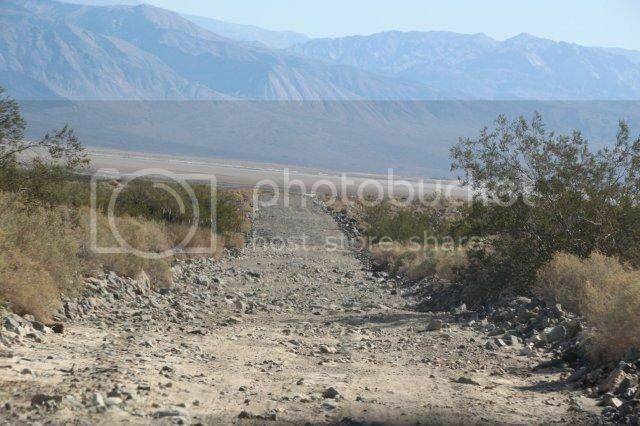 In another mile we were at the Panamint overlook. I took the opportunity to open a celebratory can of "Washboard-Be-Gone". It took us 5 1/2 hours to get from the Springs to HWY 190. 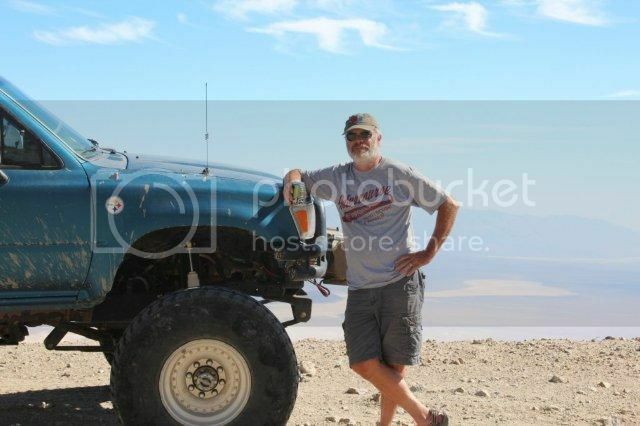 We did stop for lots of pictures, and I was towing a trailer. Without the handicaps, I think I could have done it in just over 4 hours. I wouldn't recommend this road for anyone driving a vehicle with tires under 33" and at least one locker. I think you could get in OK, but coming out would be a real bear! As I mentioned, we drove over existing tracks the whole way. Somebody has been driving this road. I don't know if they were just going down or if they were coming up, too. Whatever the case, it is possible to get an appropriately equipped vehicle out the South Pass.